New V.I.M.E.C. website finally online! We are pleased to introduce the new V.I.M.E.C. srl website ! 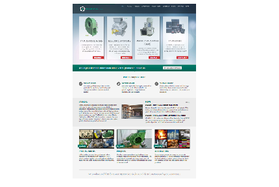 We invite you to have a look at the new pages dedicated to our products, more practical to consult and full of additional information. In addition to catalogues and manuals constantly updated, you will find under each series of "Industrial Fans" new technical tables useful to quickly and effectively identify the product that best suits your needs! There are also other new contents, such as: recent photos of our products, videos and testimonials from some of our special projects! We try to improve ourselves looking to the future, but always remaining true to our roots. Thank you for your attention and we remain at your disposal for further information or explanations, please do not hesitate to contact us.